Are you living passionately? Are you thriving? Are you manifesting your full potential? Many of us live day to day reacting to what our bosses, friends, family, children, or spouse need or want from us. Often time we are not planning and executing the things we WANT and NEED to set our soul on fire. A vision board party is an opportunity for you to decide and focus on what you want for yourself and in your life. From family, to professional to health and fitness, your vision board can serve as a blueprint and reminder on both the material and the spiritual things you want. Bring images, mementos and other tangible items, we’ll provide the posterboard and art supplies. You’ll work through a series of exercises designed to make sure your vision board reflects the goals you want to achieve. Nadege Fleurimond is an entrepreneur, chef, author and life coach living life in New York City. She brings over 16 years of experience in the entrepreneurial space. 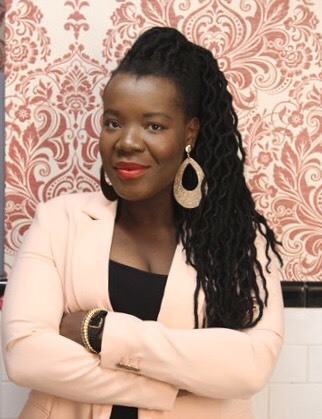 Her catering company, Fleurimond Catering has catered for companies and institutions such as Ann-Hauser Busch, New York City Hall, BET News, and The Colbert Report, as well as Dr. Mehmet Oz's organization Healthcorps. Nadege has also catered at the White House. The author of two books, Nadege knows the art or project develop and bringing a project from conception to implementation. Nadege graduated with a degree in Political Science from Columbia University. She is the recipient of the New York Media Alliance’s Ethnic Press Fellowship for 2010, and the 2011 Feet in Two Worlds Food Writers Fellowship from NYC Media. Nadege has appeared on Food Network's Chopped and has received a US Embassy grant to provide Culinary Diplomacy work utilizing theculinary arts as a tool for empowerment and entrepreneurship.